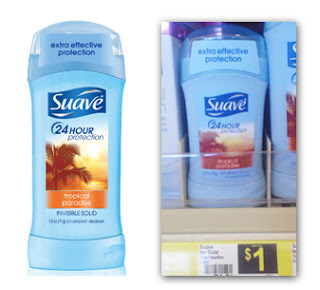 Suave Deodorant only $0.50 w/ Coupon! Use this coupon to get a great deal on deodorant at Dollar General! NOTE: This coupon is under zip code 03110. To change the zip code, click on the "Local Coupons" tab and enter the zip in the box to the left. Then, click the "Coupons" tab or here to see the regular coupons.